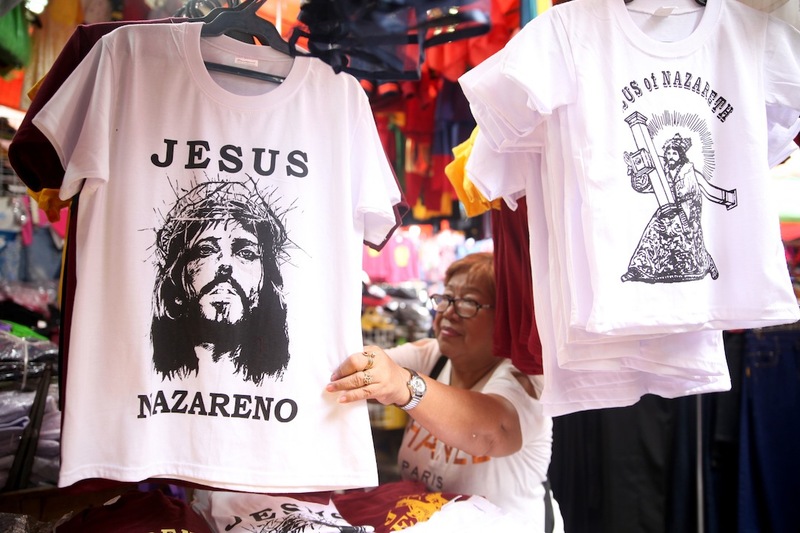 T-shirts bearing the image of the Black Nazarene are selling like hotcakes in this Quiapo stall especially since the area will once again have the traditional 'trasclacion' on January 9, 2017. Photo by Bernard Testa/InterAksyon. 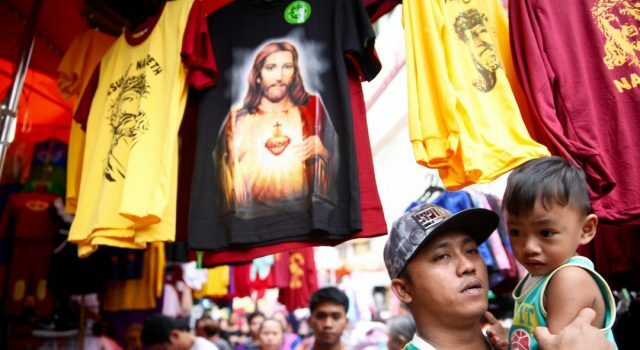 In Manila, the air continues to be thick with excitement as Black Nazarene devotees from all parts of the country converge for the traslacion or the commemoration of the transfer of the Black Nazarene’s image from its original home in Intramuros to the Minor Basilica of the Black Nazarene Church, Quiapo. This solemn transfer was held on January 9, 1787. 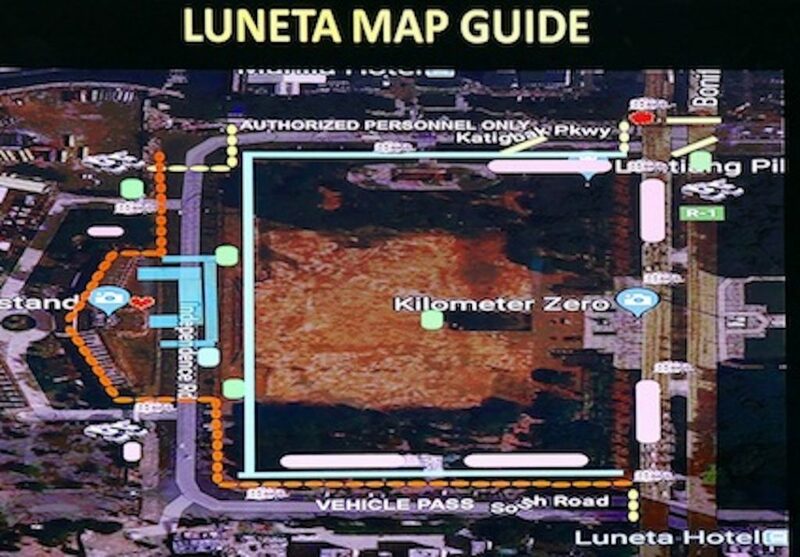 On Monday, the eve of the traslacion, more than 16,000 were estimated to have already lined up as early as dawn at the Quirino grandstand for the pahalik, or kissing of the black statue, and for the vigil. The traslacion is considered as one the biggest gatherings in the world. 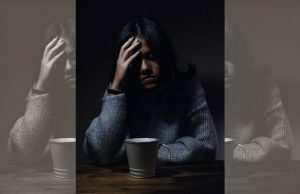 Officers of the Manila Police District announced last month that the 10-day series of activities that began on December 31 has an estimated participants of 18.9 million. 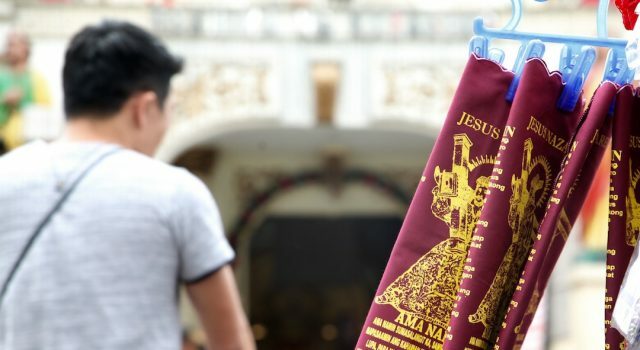 Guide to the ‘traslacion’ procession. 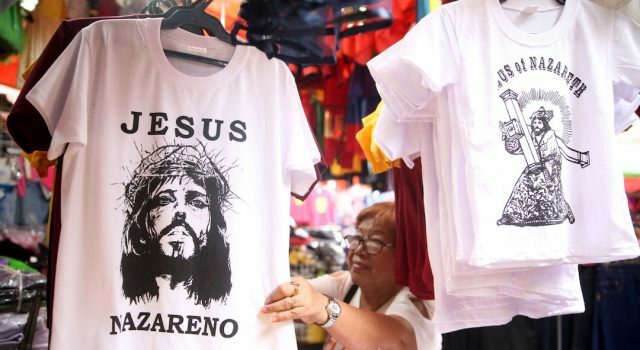 Photo by Bernard Testa/InterAksyon. 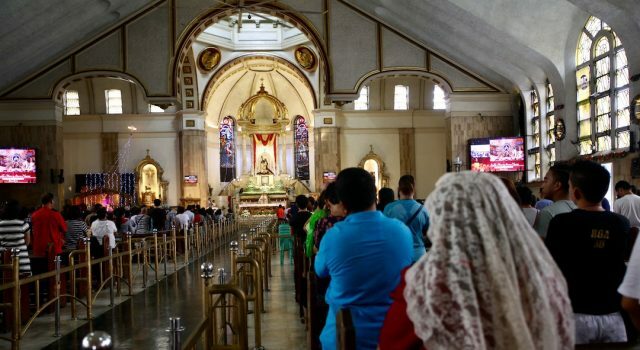 On January 9, the energy is expected to get crazy as devotees pack the streets while the procession snakes its way through the designated streets of Manila. 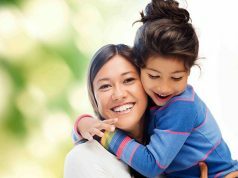 Yet the atmosphere of fervent faith could also be felt as the wild movement is also thanksgiving for tender miracles granted by the Black Nazarene to pious followers or for praying for requests. 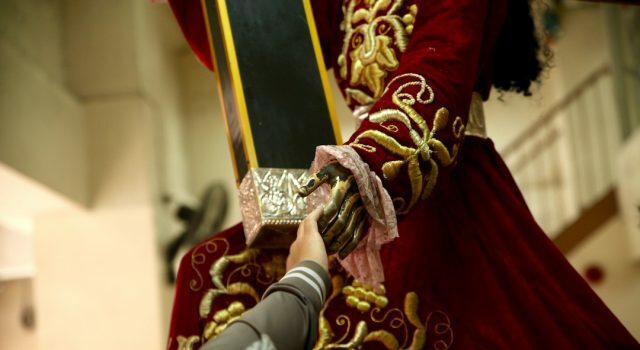 Meanwhile, here are photos of moments leading up to the January 9 procession. Msgr. Hernando Coronel leads a media briefing on what to expect at this year’s ‘traslacion’ procession and related activities. 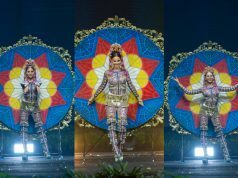 Photo by Bernard Testa/InterAksyon. 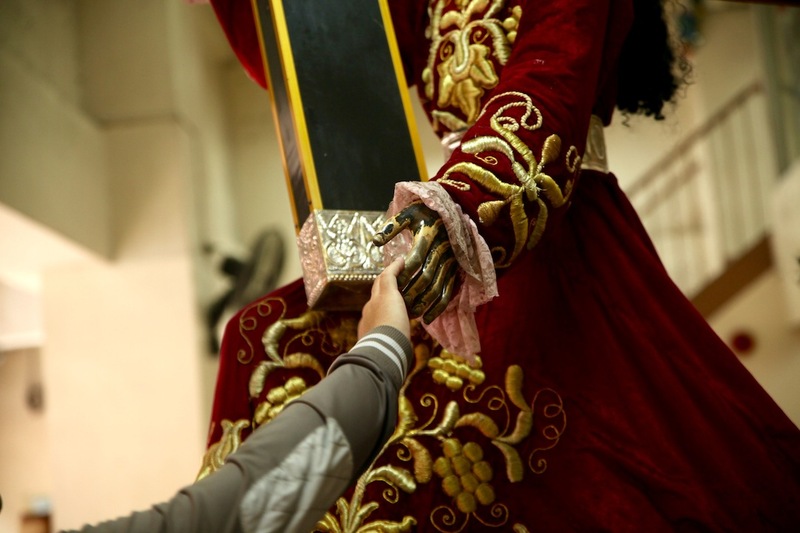 A devotee reaches out to touch a replica of the Black Nazarene. 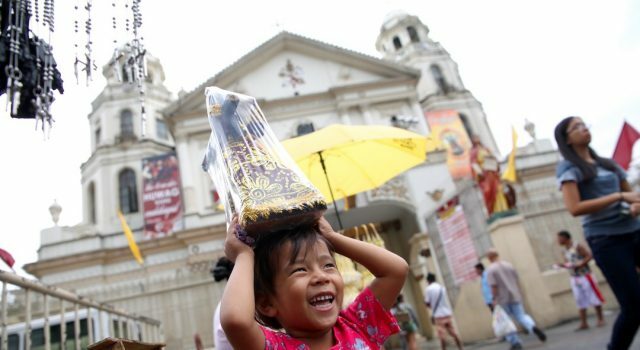 Thousands are expected to attend this year’s ‘traslacion’ procession in Manila, January 9, 2018. 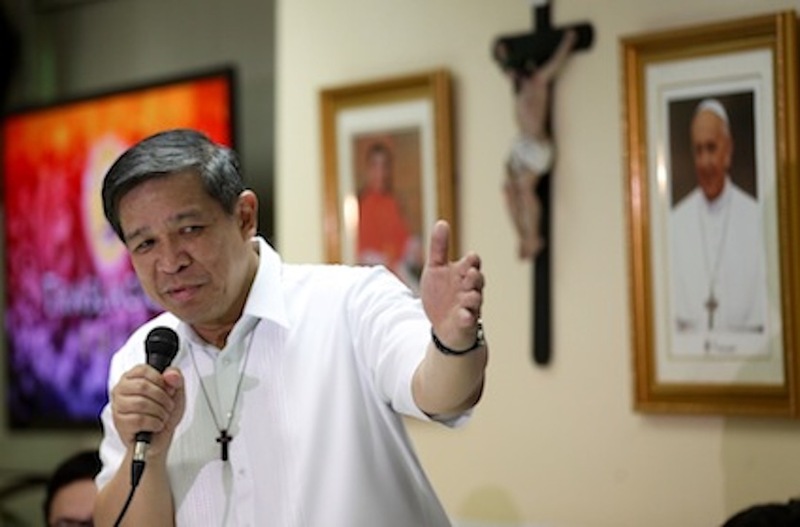 Photo by Bernard Testa/InterAksyon. T-shirts bearing the image of the Black Nazarene are selling like hotcakes in this Quiapo stall especially since the area will once again have the traditional ‘trasclacion’ on January 9, 2017. Photo by Bernard Testa/InterAksyon. 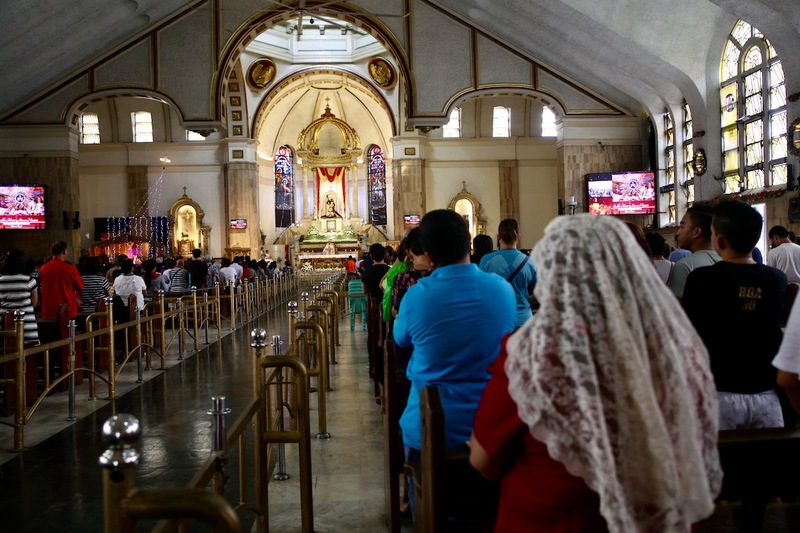 Holy Mass is held inside Quiapo Church as its faithful prepare for the ‘traslacion’ on January 9, 2018. 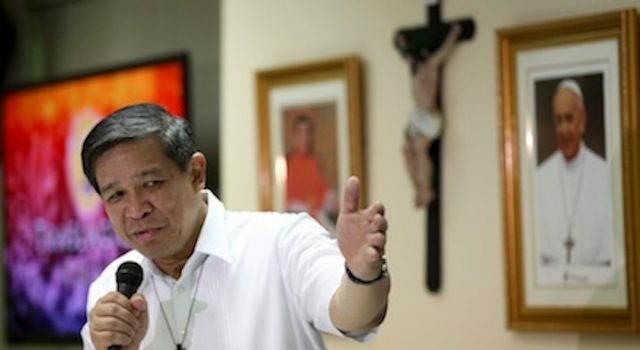 Photo by Bernard Testa/InterAksyon. 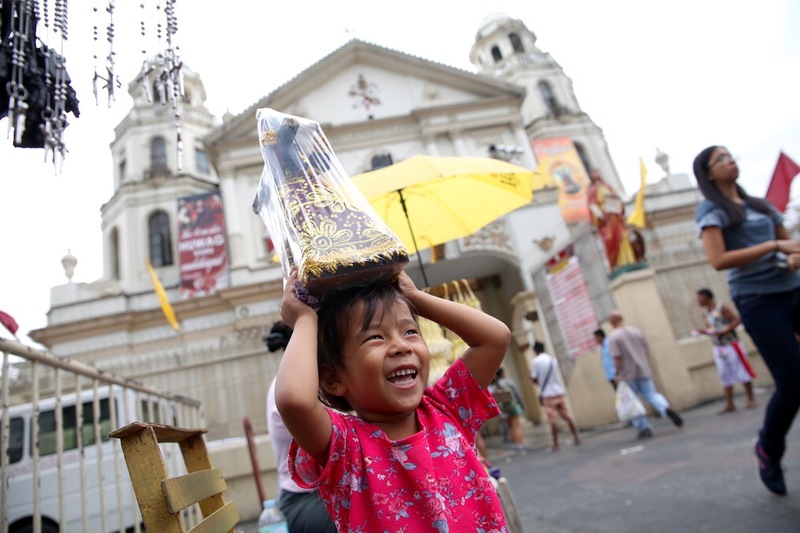 A girl carries a miniature image of the Black Nazarene in Quiapo, Manila. 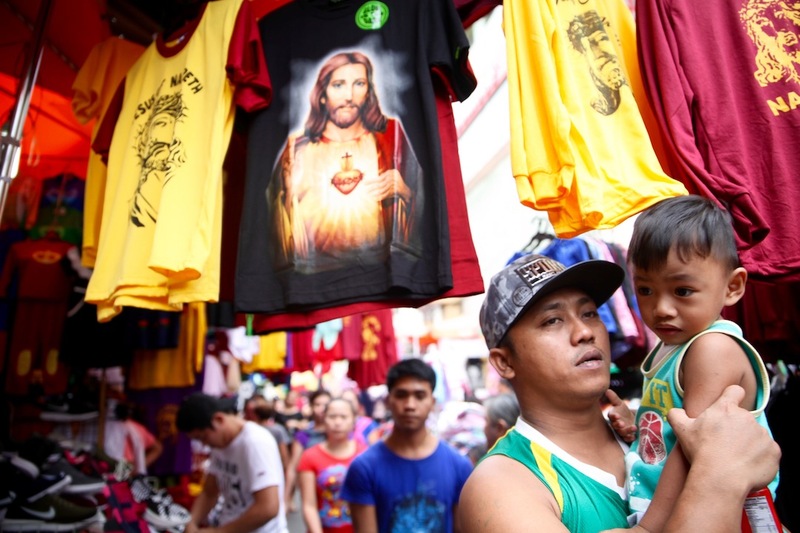 Millions of devotees are expected to participate in the yearly ‘traslacion’ of the Black Nazarene on Tuesday, January 9, 2017. Photo by Bernard Testa/InterAksyon. 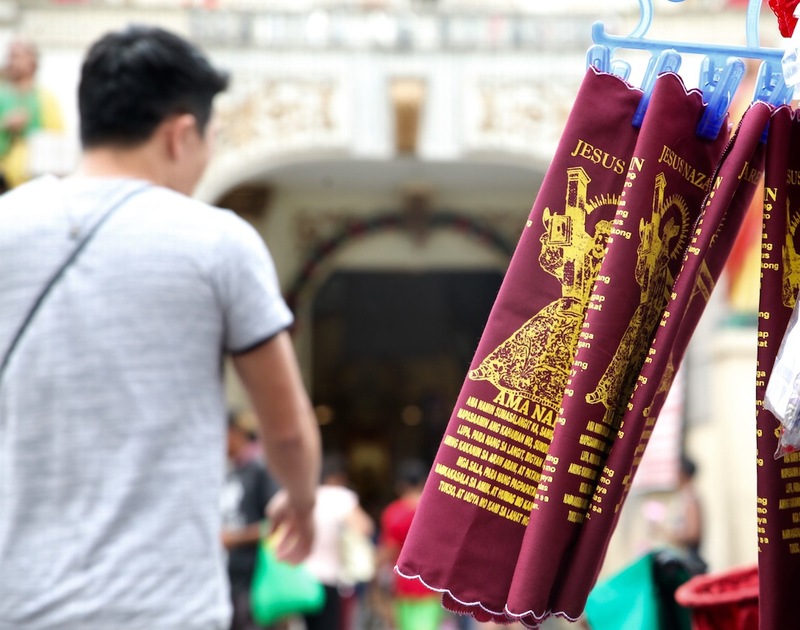 Handkerchiefs printed with the image of the Black Nazarene and a prayer are among the items being sold along Quiapo’s streets in time for the ‘traslacion’ on January 9, 2018. 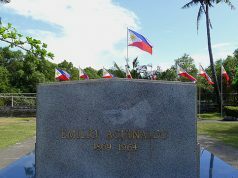 Photo by Bernard Testa/InterAksyon.